A lot of Government rhetoric has been flying around recently about how to scale back Britain’s binge drinking. It would be naive to think this is because politicians care about our well-being or want to give alcoholics help. (Is it even the Government’s job to care?) The main proposals are as always to increase alcohol taxation and therefore prices. This implies it’s really about pulling in more revenue to help with the national debt problem. Other than Government keeping their nose out of our business there may be another answer. 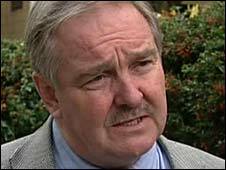 Former drugs advisory committee chief David Nutt suggested to the Commons home affairs committee today, that permitting Amsterdam style “coffee shops” that allow the consumption of cannabis, could reduce alcohol consumption by as much as 25% and therefore saving the kind of money the Government want. Due to its illegality smokers tend to fall into the weekend binge drinking culture, when many would likely prefer social gatherings based around smoking pot. “A regulated market for illicit drugs would be the best way and we could reduce alcohol consumption by as much as 25% if we had the Dutch model of cannabis cafes,” claimed Nutt. He also suggested that police would probably prefer to deal with laid-back stoned citizens (if they had to at all) rather than those under the influence of alcohol. He previously argued in the Lancet that drinking alcohol is linked to domestic violence, child abuse and road traffic accidents. Anybody who’s spent a cursory amount of time in the weekend clubbing scene will be well aware of the vomit covered violence and danger caused by alcohol. Statistically speaking alcohol is also a massive killer due to its negative health effects, while cannabis doesn’t even register on national death rankings. Professor John Beddington, the Government’s chief scientist agrees with Nutt that alcohol is more dangerous than pot, saying the evidence to support the claim was “absolutely clear cut” . Cannabis simply doesn’t cause death. According to Nutt the cost of targeting cannabis use, mainly possession, is only £500m a year, while it costs taxpayers £6bn a year for policing the use of alcohol, mainly dealing with people who are drunk and disorderly. If Britain’s 3 million cannabis smokers were given a social environment to pursue their past-time, it could significantly dent the weekend party ritual, and claw some of that £6bn back. Nutt also reiterated his famous example of illogical drug policy to MPs, stating “Horse-riding is considerably more dangerous than taking ecstasy….It is a popular activity, dangerous but addictive. I am told that many riders find it difficult to give up.” A similar statement partly lead to his dismissal as the Government’s drug adviser. He backed up this claim saying costs to the NHS from injured riders who had fallen from their horses were not being acknowledged. Riders who lose control of their horses on the roads are the cause of “more than 100 serious accidents every year”. Nutt Was Sacked By Then-Home Secretary Alan Johnson In 2009 For His Views On Cannabis.